Looking for Dubai Duty Free Jobs ? 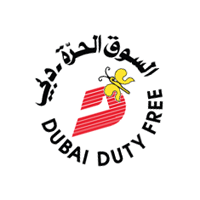 We are updating all latest jobs directly from Dubai Duty Free Careers page. So all jobs are real and original , so no need to worry fake job postings. You are going to apply with Dubai Duty Freecompany website. Not with wedado.com. Dubai duty free is one of the dream company of every job seeker in Dubai. Because they providing tax free salary , yearly flight tickets to your home country and return. Also you don’t want to pay for accommodation , uniforms , transportation and insurance when your career with Dubai Duty Free. Currently Dubai Duty Free have 6000+ staffs from 60+ countries and they still inviting job seekers to submit CV & Cover letter for general job vacancies like customer care jobs , sales girl jobs, cashier jobs , security jobs etc. Dubai Duty Free also inviting freshers to apply for job vacancies like sales assistant , warehouse assistant. The company welcomes candidates of any nationality. Nationalism, gender, especially the indiscriminate promotion, career development and compensation practices. “Cultural Diversity” training is one of the specific training programs of any new employee. Company has reasonable compensation and benefits. Click on one of the places below to learn more about different types of roles using Dubai Duty Free. Register to submit your personal information if you like what you see. If you wish, you are welcome to register your details in multiple locations, but each time only.